The tread on your tires is going to wear out before the bumpers, and the knees of your blue jeans get thin before the rest. Wear doesn't happen evenly. These men's KEEN Utility 1007976 Milwaukee water-resistant steel toe work boots were built using simple logic: th ... (see full details) (see specifications) #KEN1007976. The tread on your tires is going to wear out before the bumpers, and the knees of your blue jeans get thin before the rest. Wear doesn't happen evenly. These men's KEEN Utility 1007976 Milwaukee water-resistant steel toe work boots were built using simple logic: the parts you're going to wear the hardest have the most protection. The high-cut, 6-inch brown leather uppers are detailed with black accents, but that's not for style. The black Bomber toes are actually protective and wear-resistant. The rugged uppers aren't going to wear away anytime soon, either. That's water-resistant full-grain leather, material that has the fuzzy touchability of suede. The tough-tec leather may feel soft, but it has the long-lasting flexibility you need. It resists tons of abrasions and wear, adds extra durability to these shoes. Locking metal hooks and lacing eyelets complete the tough upper design. But it's only the beginning of what this men's footwear has to offer. Inside, your feet will be resting on top of Metatomical dual-density footbeds. Designed to match the bends and curves of your feet, the footbeds are crafted with two layers of airy EVA foam. Soft EVA cushions and absorbs shock, so your steps stay cushioned and comfortable. KEEN Welt construction joins the tough soles to the leather uppers. The stitched construction is tough and flexible, creating a secure bond between the leather and the non-marking rubber soles. The soles on these brown shoes are oil-resistant and made to stay strong against corrosive workplace chemicals. Slip-resistance gives you a gripping tread, even on wet floors. In addition, the soles are certified for electrical hazard safety standards, and the steel toes are made in a left and right asymmetrical design to match the shape of your feet. Both meet ASTM standards for your protection. These KEEN Utility 1007976 steel toe boots know where you wear your leather boots the hardest, and they're ready for it. So order your pair from the Working Person's Store today. I work in the HVAC industry as a Tech and Installer for over 15 years now. I've had a lot of different work boots over the years. Red wing to Wolverines to your common cowboy work boot. I'm a big guy at 6'2 and 280 lb. I'm on my feet all day and need the support. Nothing has really stood out to last and be comfortable from day one. I bought the Keen Milwaukee steel toe boots that you see above and took a chance like always. Its been a good month and I'm VERY happy with these Keen boots! Comfortable and durable and also DRY! I recommend these work boots for sure. I have always heard Keen boots were top notch, but the price always held me back from a purchase. After a number of pairs of less booths, both price and quality, spent the money and bought a pair. You get what you pay for these boot are the most comfortable, durable and stout boots I have ever worn. I have been from mud trails to under my truck to the roof to walking 5 miles per day in inside a prison. All day comfort and support. I am already looking at another pair of Keen boots that are a bit dressier for more formal occasions. I want some thing that looks great with dress pants for meetings, conferences and business lunches. 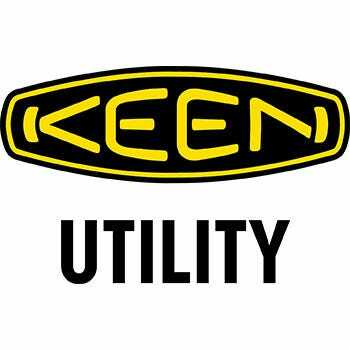 Thanks Keen for a superior product that will out last any abuse I dish out. I work as a carpenter doing residential remodeling. When looking for a new pair of work boots I went to the local store and tried on boots from all the major brands. When i tried on these keens they were by far the most comfortable. They feel very tough and durable, yet have a tennis shoe type feel on the foot. When I brought them to work I loved them. They are incredibly comfortable, and had hardly any break in period to speak of. With that being said, I was very disappointed to notice that after only two weeks of everyday use, the Black ankle padding (around the Achilles part of the ankle) is tearing away from the leather above the heel. I am not looking forward to the task of finding another boot that fits as well as these. I've been buying these boots for over a year now, been through a few pairs, but I literally walk the soles out of them with my job. These boots have held up and maintained their comfort over any other boots I've owned. Also love the toe cap for kicking hand carts to lean them, I haven't worn one toe cap out yet. KEEN Utility 1007976 Men's Milwaukee Steel Toe Boots is being added to your cart.